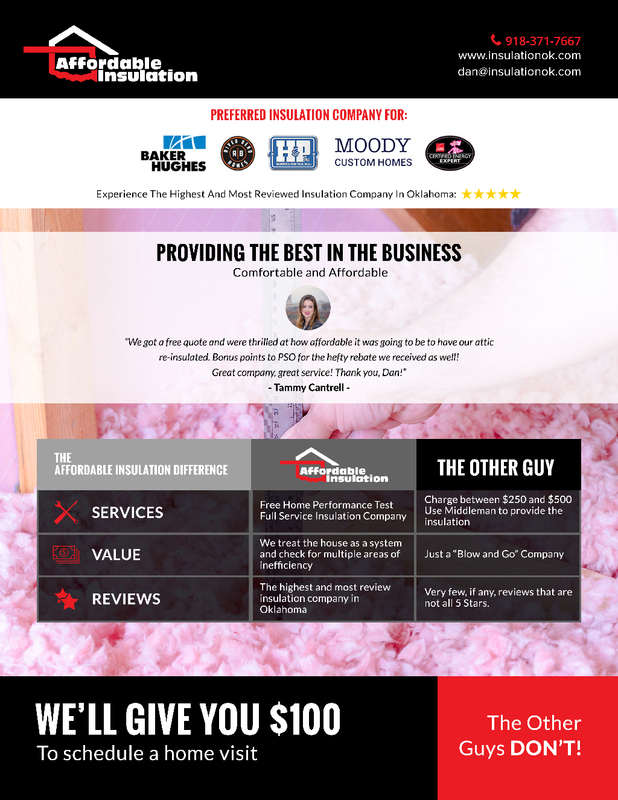 If you’re looking for insulation services in Tulsa, you’ll want professionals that are knowledgeable of the Oklahoma homeowner’s needs and are there not just as an installer, but as an educator and friend. We offer affordable insulation services right here in Tulsa, and as fellow Tulsa homeowners, we know exactly what it means to have good insulation. Our priority isn’t to make you a sale. It’s to give you the best bang for your buck and the best insulation product to suit your needs. Whether it’s the affordable, environmentally friendly fiberglass batts, or the airtight membrane of spray foam insulation, we’re willing to educate you on what the best option would be for you as a Tulsa homeowner. The following are some of the services we offer. Spray foam is a liquid applied directly to your walls, ceilings, and floors that hardens into an air-tight membrane to provide solid protection against all manners of airborne allergens, moisture, and temperature. If you feel that air is escaping your home, this may be the insulation for you. We’ll provide a free energy-loss evaluation. There are times when your current insulation solution simply isn’t working and you need updated protection for increased regulation and protection from the elements. No problem. We offer expert insulation removal so that you can update your home’s insulation as soon as possible.